Hank Phillippi Ryan: I grew up in really rural Indiana, so rural you couldn’t see another house from our house. I had three sisters and a brother, and fifteen million pets, from a clan of Irish Setters to Chet & David the hamsters to ponies Cadet and Sable to endless cats: Mrs. Purdy, Picnic, F.Scott, Zelda, and Rosemary. So you can imagine--what was scarce was time alone. In the quiet. Just by myself. I chose the hayloft of the barn behind our house. Alone—well, maybe with Sherlock Holmes. But the amazing Nicole Baart—(do you know her books? 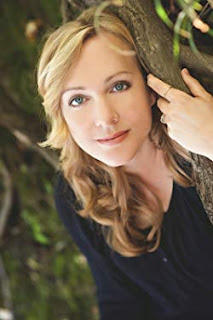 More on her below, including her fabulous family, and her gripping new thriller YOU WERE ALWAYS MINE)--has a special memory of “alone” as a child. A breathtaking realization. And then—a question for you. My best friend when I was a little girl was my cousin, Arlana. Lana and I were born one month and nine days apart (she’s older–something I tease her about to this day). My first word phrase was “No-no, Na-na” because apparently she stole my rattles (I’m sure my infant self would never do such a thing). As kids we were both painfully skinny, more than a little dorky, and blind as bats (thus the matching coke-bottle glasses we were stuck in for years). But best of all, Lana and I were imaginative, passionate, and in love with life (we spent countless hours making up elaborate games, writing stories together, and creating imaginary worlds). There wasn’t much that Lan and I didn’t share. Except for her tree. Lana lived in a small development on the edge of town and it was rimmed by a stand of tall, narrow trees. One of our favorite pastimes was tree climbing, but I was (and still am) a little afraid of heights, and she could always climb higher than me. I envied her daring, her ability to push herself just a bit farther and then a bit more, but I was never so jealous as the day that she showed me her tree. There was one particularly hard-to-climb tree that required us to jump for the lowest hanging limb and then swing ourselves up and hook our legs over the nearest branch. That alone was a feat, but once we started climbing it only got more treacherous. The limbs were unevenly spaced and required us to stretch for purchase and swing out over empty spaces. I found it utterly terrifying, but I followed Lana because I had to prove myself as brave as her. Until we reached the point where we couldn’t climb anymore–and she kept going. At the place where the branches began to drastically thin, my intrepid cousin had taken her pocketknife (we each wore one around our necks) and sawed through a wrist-sized limb. In order to reach the next “safe spot,” she had to carefully put one foot on the hacked-off nub, shimmy her arms up the trunk of the tree, grab a branch high overhead, and then wiggle her way up. For several heart-pounding moments Lana had nothing at all to hold on to. Then she found purchase on the last sizable limb, pulled herself up, and grinned down at me from a distance that seemed as far as heaven. I remember staring up at her and thinking, “No one can touch her.” No one could follow that impossible path. She might as well have been on Mars. I’ve been thinking about that tree, and about Lana’s not-so-secret hiding place. I don’t know why she cut that branch or why she created a route that only she could follow. But if I had to guess, I would imagine that it had much to do with the desire to be alone. It’s a scarce commodity, isn’t it? A moment alone. Away from the hustle and bustle, the chaos of the earth below. Peace in a place where no one can follow. Doesn’t that sound like bliss? It does to me. I love the mess and muddle of summer with my five kids, one dog, and countless neighbor kids and nephews. We have a revolving front door and a backyard trampoline and tree fort that acts like a beacon to friends old and new. It’s delightful in every way. But by mid-July I’m craving a little silence. Some sweet time alone. Today I would take Lana’s risk: I’d put my foot on that sawed-off nub and hold my breath until my fingers found that next branch. I’d do it just so I could spend a couple of minutes utterly and completely alone. Would you? Where do you go to be alone? Hank: Such a good question, right? Where do you go where it’s so quiet you can hear the silence? Or do you like that? And remember—a copy of YOU WERE ALWAYS MINE to one lucky commenter! “You Were Always Mine” sounds like quite a compelling story, Nicole . . . I’m looking forward to reading it. Where do I go to be alone? The garden early in the morning or at sunset when the deer are wandering through the yard. It’s peaceful and quiet, but not so much so that you can actually hear the silence. Nevertheless, it's peaceful. Truth be told, I like being alone only in very small doses. I suppose it’s because I have a twin sister and we grew up doing things together, never really being all alone at all . . . .
Oh, that is so interesting, Joan! There’s something about your psyche that is used to being with your other half? Maybe so, but it's a good thing! Walks in the woods are always good for getting away. Unfortunately, there aren't any woods where I live now and it's too hot to do much walking, but where I used to live there were some really nice nature parks I used to frequent. 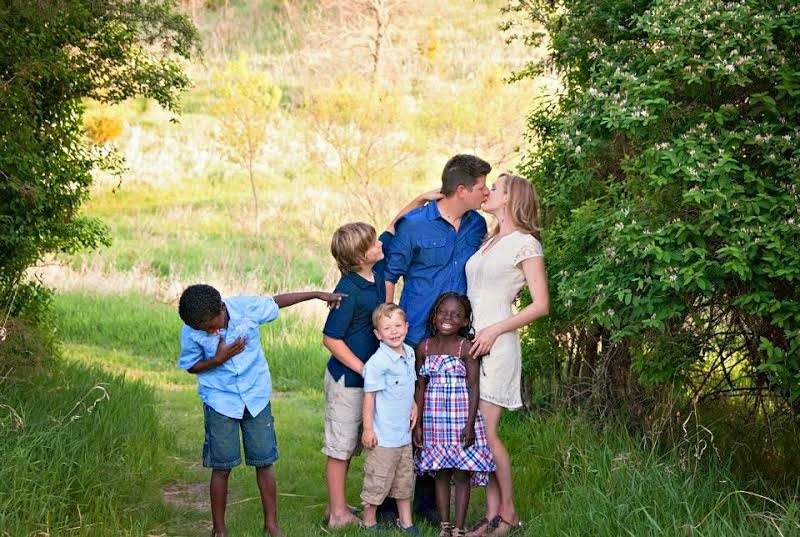 And Nicole, can I just say I love, love, love that your children are adopted. Your organization sounds awesome. It’s interesting how some people want to go outside and be alone, and others prefer inside. Hmmm. Yes, we need to urge Nicole to talk about the organization ! The book sounds intriguing, Nicole. Congratulations on that, and the busy, generous life you've created for yourself and your family. I'm an introvert who works in a small office space with five other people, except when I'm working in a large concert hall with a 50-piece ensemble and crowds of thousands. Much as I love it, I need my alone time to recharge every day. I get it by going home. I have a 40-minute commute, even in the best traffic, and that's where I begin to unwind. At home I have dogs, cats, gardens, and many books, but no people. When I hit the point of needing good conversation again, it's back to work. Not my perfect solution, but I do get that alone time whenever I need it. Wow, Gigi! So do you feel happily alone in all that traffic? I try to make it a zen thing, but I often call my sister or a friend, so catch up when I'm stuck in traffic. That way I won't have social obligations when I get home. What a lovely story, Nicole! You Were Always Mine is already on my TBR. Like Joan, I look forward to reading it. First of all, adoption - your outlook on many things reflects my mother's. She adopted all 3 of the kids in my family and made us feel like we were the most special people on earth because she chose us. She was a wonderful person. As to alone time, well, I require it. My husband and I are both what I would consider introverts who can socialize in small doses. Then we both need to recharge. My alone time has always been between the pages of a book. I can shut out the world and disappear (almost literally). I agree with Marla that One Body One Hope sounds like a great organization. My best to you and your family! We are just like you! If we have the choice of a party or staying home, we really have to convince ourselves to go to the party! Nicole, please tell us more about the book! Ever since my brother-in-law moved in with us last December, there's been very little "alone" time - except times like now, when I'm awake and everyone is sleeping. It's a personal need that my more socially-minded husband does not understand. I crave my quiet, walking the dogs (people, why are you yakking on your phones while out with your dog?) and weeding. If it's cool enough, I work on the screened porch. That strange? Yes, I see that all the time, people on the phone walking their dog. Seems like the joy of that connection would just be broken… phones are everywhere, isn’t it crazy? looking forward to your book, Nicole; sounds like my kind of read! Maybe it is true: 'be careful what you wish for' because I am alone, except for my pets who really are good company, almost all the time. But then I agree with whoever said "it is better to be alone than to wish that you were." Yes, Judi, you are right… It is a balance. You have all of us, too! The book sounds intriguing - the perfect read to bring chills to a hot summer night! Where do I go to be alone? On our property in Maine there is a granite shelf that climbs a hill. All the rocks are exposed and a copse of old growth maples tops the hill. Just before you reach the top there is a second shelf that is lined by smooth stones. Almost like a granite open room with a stone recliner. That's my special place. A safe place to sit and relax, high enough to look down to the St. John Valley and see the play of color in leaves as they run to the river ten miles away, and in the right season, I'll take a book or laptop and read or write until sunset. There's a trail down the backside of the hill if I feel lazy and don't want the rock climb. Oh, fabulous! What a perfect-sounding spot… how did you find it? It's not too far off the running trail my husband cut through the brush. We have 23 cleared acres and 144 wooded and I noticed the rock face one day when I was on a run. It's perfect. Nicole, your newest book will be finding a place in my tbr stacks...when I can find a few minutes alone to read it. I grew up in a family with eight kids--we didn't adopt, but there were many additional kids in the household over the years--cousins, neighbors, friends--there was always room for another one or two. My favorite alone places can be the pages of a book, definitely, nowadays my walks--or if all else fails--the car--errands can be great for creating some alone time. Nicole, I look forward to reading your book! I'm the oldest of five, and was sooo disappointed that my parents didn't have more kids! The fact that we lived in a tiny apartment in a housing project might have had something to do with that. I remember wanting them to adopt an older brother for me. And honestly, I think they would have adopted if they could afford it. My niece and godchild was adopted from Korea. I can't imagine my life without her. When I was working, if the day had been especially chaotic I looked forward to my drive home along the waters of Long Island Sound. When my youngest sister was dying I found that just sitting in the car in the beach parking lot and looking out at the water was therapeutic. The beach, especially in the off season, is where I go to rejuvenate. Going for walks just about anywhere helps, too. I’m feeling calm just thinking about that! Nicole, Your novel sounds captivating and compelling. Walking my little dog to the park and in the neighborhood is a joy for me. I need the space and the beauty to start my day. Oh nice! What kind of a dog? Nicole, your novel sounds so intriguing! And I adore the photo of you with your family. I love my shady deck and my backyard in the mornings. Does being with the dogs count as alone time? I like running errands in the car by myself. I don't even turn on the radio. And I consider coffee shops or cafes good alone time, too, because I don't HAVE to talk to anyone. I had a fairly solitary childhood because my brother was ten years older. I wonder if that upbringing creates more of a need for solitude than growing up in a big family, or if it's all completely down to our personal make-up? I've always needed alone time. I grew up with 4 brothers and sisters, so that could be hard to find. Somehow reading a book in my bedroom seemed to do the trick. Nowadays I can choose to read downstairs in the living room and still achieve alone time. My husband is much more of a social butterfly so he is frequently off doing whatever, leaving me and the dog to our own devices. That works out so nicely! I'm the classic introvert--I need alone time to recharge my batteries. With three kids, alone time is a precious commodity and I take it wherever I can find it: in the car driving home from work, on a power walk around the neighborhood, or hiding out in my "reading corner" in the bedroom until my youngest tracks me down (after walking past all of the other residents of the house, of course!). Yes, it seems that "in the car" time is our modern walk in the woods...! Love the story of Lana and her climbing derring do! Solitude and peace are difficult to come by in this day, isn't it? After 35 years of child-raising, I find it essential to my mental health, but I wonder about those humans who live in much closer quarters in other parts of the world. Places with high population density, like parts of India, China, Japan, etc. It makes me feel extremely fortunate that I am sitting in a quiet, peaceful spot right now, hearing only the ticking of a clock and the trill of birdsong. What a fascinating thought--there's so little space per person. Interesting to know if they crave being alone--or whether it's even a concern. Being alone is pure bliss. After I had babies, I used to fantasize about staying overnight - alone! - at a nice hotel in Boston. Sleeping as late as I wanted, eating room service, reading uninterrupted. It still sounds great, even with almost-grown kids! Yeah, it STILL sounds great! A world of handwritten letters - I like that! Since I have retired I have gotten up early each morning like always, but instead of getting ready for work I get to be ALONE, coffee, books, online, sit outside, whatever I want to do before anyone else is up. I didn't realize how important it was to me. Julia's comment reminded me about my hospital plan when my third child was born: I would have a room all to myself! But when my son was born I totally forgot to do that. Only remembered about it years later. Hank, where in rutal Indiana? My 2x great grandfather was born in Hamilton County, Indiana in 1856. Nicole, Welcome to Jungle Reds! When I was a kid, my best friend was my cousin throughout my childhood. She is three years older than I am. We were the only kids in a family of many people who had been born when Queen Victoria was Queen of England! I remember talking as if I expected her to understand my Sign Language. LOL. She did learn sign language when she and her father took sign language classes when we were teenagers. She is always kind to me. I am grateful for that. Zionsville! A suburb--exurb? Northwest of Indianapolis. It is a bustling crowded cultural center now...so strange! wow! the town where my 2x gg married was in Clay Township, Hamilton County, if that town still exists... Yes, it is strange that Zionsville is now a crowded center. Population growth? Nicole is reading all your comments, and trying to post! But she is having the problem where the posts disappear… So frustrating! She is going to email me… More to come! Oh, gosh, the constant sounds of the river. I know people who live near the highway, and try to pretend the rushing sound of traffic is actually water. I am trying to imagine that, Celia. Whoa. I think I need some silence and calm, quiet, unhurried time. But instead, I keep myself so busy and distracted that I don't get it. As I read Nicole's description of climbing that tree, my mind flashed back to my youth and a tall tree that grew along the back fence line of our property. I climbed that tree with some friends from the neighborhood and rigged a makeshift zipline from the top that connected to the base of another tree about 30 ft away. We were probably somewhere between the ages of 9-10. After several runs, it was my turn again. The zipline, an old rope that we had found, was beginning to wear and my weight caused it to pop. I fell out of that tree, about 15 or so feet to the ground. Face down...THUD! I remember silence, then I rolled over laughing. The other boys caught their breath and busted out laughing too. Good times... Thanks for sparking the memory, Nicole and Hank. Oh, Peggy, that is wonderful... You all are making me feel so peaceful! Counting the days until mine go back to school! There is no quiet when you live with three musicians unless you are willing to wake up before the sun and enjoy that first cup of coffee in the dark by yourself - yep, those are my moments of quiet. This book sounds wonderful, Nicole. I can't wait to read it! Funny how solitude and loneliness are simply matters of perception. If I desire solitude, I can simply remove my hearing aids -- Hey! Presto! I am one with me and the quiet. Sorry you are having a problem responding to our posts today. I am intrigued by your new work, and look forward to reading it. Loved the tree story. I would have stayed on the ground with a good book while Lana climbed to the heavens! I am so fortunate to have all the alone time I want, any place in the house and garden for most of the day. I can’t decide if I’m a hermit wannabe or just a curmudgeon. Yesterday a friend stopped by, a dear friend whom I hadn’t seen in a while. But after an hour I started saying the silent “please go home” prayers. It takes very little for me to get tired of conversation. That’s the good thing about dogs. They don’t expect me to talk. Oh please Hank. You are a delightful conversationalist. And in high heels even! Your book sounds so intriguing, Nicole. Can you tell us a little about the intersection of adopting kids yourself and having adoption be a theme in your writing? I fall into the category of needing peace and quiet. Despite living in the middle of a city where I am surrounded by the noise of construction, sirens, the occasional preacher with a megaphone, I'm able to tune most of that out when I'm inside our condo. My hat is off to all the parents out there who live with a constant elevated level of noise and chaos! And when you go underwater..it must be so still! Or in the breathing apparatus loud? Good question, Hank. Your own breath is quite loud in your ears, but hopefully, it's rhythmic, and I find it soothing. Some people don't like the sound, and it can even lead them to panic. Never a good idea many feet down! Thank you SO MUCH for taking a moment to share your *alone* places. I have had so much fun reading where you go to escape. Thanks for sharing. You Were Always Mine is domestic suspense story wrapped up in a love song to adoption. I wanted to honor birth mothers, adoptive mothers, adopted kids, and bio kids with this story, so they all get a starring role. My family is a beautifully blended patchwork of different colors and ethnicities, and I love sharing about who we are and how we are ALWAYS better together. We belong to each other friends, all of us! This planet—and our hearts—are big enough for everyone. Thank you for reading! I hope you add YOU WERE ALWAYS MINE to you TBR list, but even more than that, I hope you find sweet moments to be alone and recharge yourself so that you can continue to spill kindness over everyone you meet. Thanks for sharing Nicole's response, and sorry she's having posting problems. Technology is great until it stops working! Beautiful. ..can't wait to read. True Inspirational work and author. SO lovely of you--and so correct! As I was reading this it was as if I wanted to add a reply to almost everyone's comments! This book looks so intriguing....especially since our oldest daughter happens to be adopted by my husband and his first wife. I am an introvert with huge needs for personal space and yet managed somehow with my husband so many years ago to blend 6 young children from previous relationships, including former spouses, birth parents, and two full time careers! That's a huge accomplishment, Helen! You and your husband deserve enormous credit, and maybe you should be writing a how-to book! Oh, what a story, Helen! Wow. Agreed, Ingrid, time for your own book! I've always needed time alone, usually reading. My brother(2 years younger) HAD to have someone to play with. My mother had the same problem with her younger sister. Now that I'm alone in the house and garden, I sometimes need some noise and play the TV and radio more than I used to. I also prioritize time with my friends. However I still enjoy my peace and quiet. The TV can be good company! Do you talk back to it like I do? The cover for You Were Always Mine is so pretty! There's a wildlife refuge not too far from where I live. I like to go to this one bench on the trail that is mostly hidden. It faces the pond & I love just sitting there watching whatever birds may visit the water. 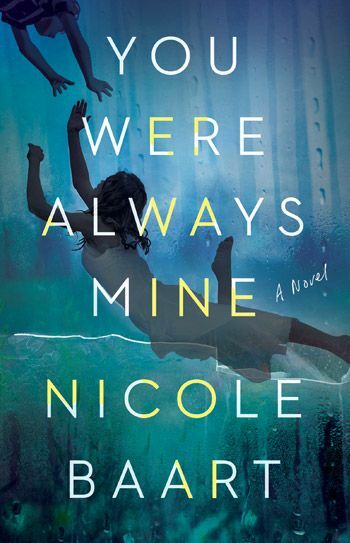 Nicole, the book sounds great and it's now on my TBR list. I find my sewing room is my get-away place. I usually have an audiobook playing in my ears while I quilt but sometimes I sit quietly and watch the birds at the feeders or the deer and turkeys in the field. I so enjoy the quiet time alone~ usually the best place is in my commute home in the car. It's about 30 mins and sometimes I turn the radio off and just sit in the quiet. Now a days it seems to be my only time~ just me. No phone, people, kids, husband or dog. I don't even like when that time gets invaded by carpooling or a phone call.